Kristen TenDyke's Blog: Autographed Copies of Finish-Free Knits - and a Giveaway! 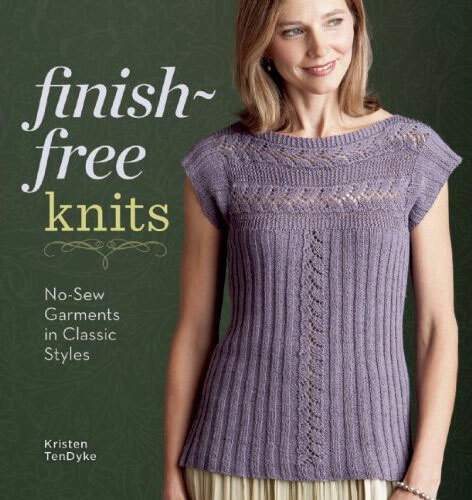 Autographed Copies of Finish-Free Knits - and a Giveaway! I'm pretty sure I ordered way too many… so, I'm selling some of them on Etsy—autographed! There are a limited number of books available, so get them while they last! Also, if you comment below with your favorite Finish-Free Knits sweater, and why you love it, you will be entered to win a free autographed copy! On January 11th I'll have a random number generator pick a winner. Edited to add: The contest is now over. The fourth comment, by Indegoeddy has won! OMG how exciting! I have been loving your blog posts about the designs in the book. How to choose a favourite? It might be Warmth for its gorgeous design on the front. It looks so very comfy. I think I would do long sleeves for sure. I also LOVE Unity (might do a little more of a scoop neck) and Honor. Congratulations on what looks like an amazing book! Oooh! Looks like a great book. I'm a sucker for a knit dress, so Harmony Dress is my favourite. Congratulations on the book! There are so many wonder designs. I like the Joy lace tunic. It can be worn so many ways and through multiple seasons. Oh wow! Kristen you have the most exquisitely written patterns! I would love to win this book and thank you for giving us the opportunity to win! Blessing to all! I think my favorite is the Grace cardi. I love its simple elegance and classic styling. Oh, jeez! I was considering the Delight pullover, but then I found the Divine vest! I stopped looking after that because I've never made a garment and having too many on my list might overwhelm me. ;) seriously, gorgeous patterns. But I'm still not sure which I'd do first. Devine? Delight? I dunno! The Honor Pullover is so lovely! I would love to make that. Thanks for the chance to win this awesome book! The Grace Cardigan is my favorite. It is a classic. The Delight Pullover is a real delight. It will definitely be a delight to knit. There are several I will want to knit!!! Pick me pick me!!! I need more Grace in my life! It would be a Delight to knit and would add to the Harmony of my Divine life! Oh, so difficult to narrow it down! I think I'll start with Peace! But then again, Divine is pretty awesome as well. Congrats on having your book published, I'm sure you'll be pleasantly surprised how many copies disappear! I haven't been able to get my hands on a copy but the front sweater is gorgeous! Looks great! I can't wait to check out the entire book. It's a toss-up between the Peace Tunic and the Bliss Top! Either would be perfect to take along to a multi-day wedding I'll be attending next June. The Honor pullover is so pretty with it's wide, collared neckline. All of the sweaters look like enjoyable knits, though, and will look nice on everyone. I'd love to have this book. All of the patterns are great. I also love the larger sizes. Fantastic, pretty knits without the pesky finishing! I think the Delight Pullover looks particularly cozy, since I'm always cold. I know it's one of the more understated designs in the book but I love the Trust Pullover. It looks so cozy! Honor, Peace, Warmth... who am I kidding. All of them. Wonderful giveaway :) Thanks for offering! My favourite is the Serenity Shrug, because it looks lovely as a shrug, but it can be equally nice and elegant as a full length cardigan. Beautiful! Love the look of the tunics; I'm tall and have been eyeing up longer sweater patterns that are flattering. Lovely designs - what a great book! The one that calls to me the loudest is the Unity Pullover as I am slowly making my way to the "cable side" and it would be my first top down sweater. They're all so lovely, how to pick just one? If I must pick one on the spot, I'd have to say my eye was drawn to the Divine Vest. I love the construction of the pockets, the cable that runs along both sides of the vest and around the hood. I also like the toggle buttons, and the colour in the picture. I'd love to have this lovely book in my library. Thanks for having the giveaway. Good luck everyone! OMG! Love all your designs and can see myself knitting all of them. 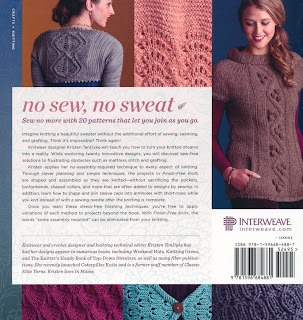 If I had to pick though my favorites are the divine vest, delight pullover and serenity shrug. I am thrilled with this book. I have had projects done, but not finished sit for months. I love the Hope Top, the details around the yoke and the shape are just gorgeous. I adore a lot of the patterns in this book, but top of my list is Delight. It's a construction I haven't seen before, with a V neck and lacy bottom and would be great for the climate I live in. I can't decide! I love the Divine vest and Delight. Me for me, one for my sister! Love the Serenity Shrug. Looks like the perfect thing to wear over a tee at the office this summer when the air conditioning is cranking. It'll be summer soon, right? Warmth top is totally my favourite! Warm, cozy, quick to knit and perfect for me here in the cold north!